Aksharadhool: Old Wine in old bottle! Old Wine in old bottle! Who was this Neville Maxwell, whose writing was so dear to the Chinese premier? In the 1960's he was the New Delhi-based correspondent of a British newspaper, The Times of London. From having anti communist leanings in the beginning, Maxwell later became an ardent and frank admirer of Maoist China. He also had a deep-seated prejudice against India and repeatedly predicted an early collapse of Indian democracy and the break-up of India. He was known as an apologist for China. 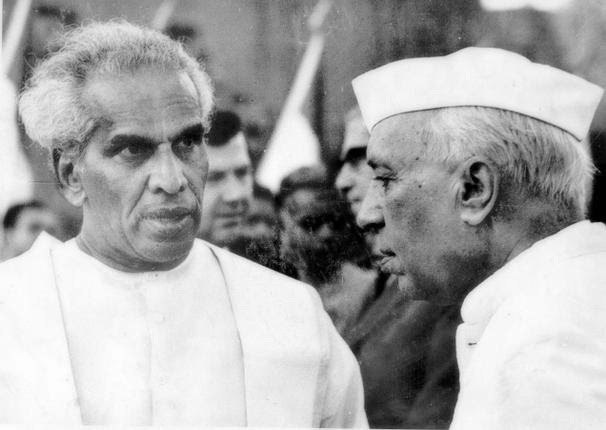 It is no wonder that Maxwell presented a pessimistic portrayal of India in the 1960s, even predicting repeatedly, the early collapse of Indian democracy and the break-up of India. In 1970, Maxwell authored a book titled as ‘India’s China War’ in which he came out with a a strange and twisted claim that though China had attacked India in 1962, it was provoked into attacking India to defend its honour and dignity. Maxwell quoted in his book, classified references that highlighted the flawed decision-making of India's political and military leaders that led to defeat at the hands of the Chinese. Three years before Maxwell's controversial book, a renowned Harvard scholar, named Roderick MacFarquhar, had come out with a book titled as “The Origins of the Cultural Revolution, Volume 3: The Coming of the Cataclysm 1961-1966” in which he had come to conclusion that Mao Zedong had planned the attack on India systematically to achieve a swift, decisive victory and to teach India a lesson. MacFarquhar's study, recorded in this book, about the 1962 war is called as "Mao’s India War" directly discredited Maxwell's thesis, though written almost three years before Maxwell published his book. It is generally believed that Maxwell's gloom-and-doom journalistic dispatches from New Delhi as well as his interpretation of the 1962 events, are the results of his deep routed grudge and prejudice against India and that is why he should be just left alone. Surprisingly, Maxwell is back in the media limelight once again. He has now published on his web site, papers, which he claims are a large section of the still classified Henderson Brooks Report, on India’s military debacle in 1962. 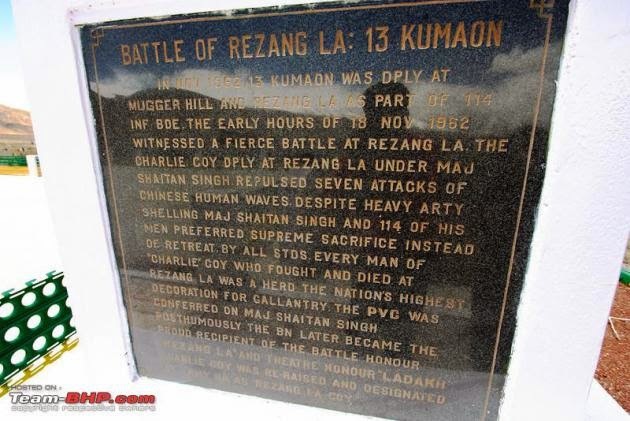 Immediately after the 1962 war ,India's then new army chief, Lt General J N Chaudhuri, had commissioned Lieutenant General Henderson Brooks and Brigadier P S Bhagat, then commandant of the Indian Military Academy, to go into the details and causes of the debacle. The Henderson Brooks Report authored by these two officers is a most exhaustive operational review of the India-China war over both western and eastern sectors written soon after the war. This report has never been declassified by the Government of India and still continues to considered it as classified information. In fact as late as April 2010, India's defence minister had told the Parliament that the contents of the report are "not only extremely sensitive but are of current operational value." I wrote a series of articles on this subject and the readers can see them hereon these links, if they desire. Study of this report mentioned above as well as other books written on this subject, very well bring out the disconnect between the political leadership and the army at that time, how unequipped and unprepared the army was, when they were sent to fight the Chinese in 1962. Indians are well aware of the the blunders committed by India's inexperienced leadership of those years, in formulating India's China policy and how they were tricked and fooled by Mao's China. The pages, which Maxwell claims to be part I of this report, also give a fairly exhaustive account of what had happened in 1962, however, there is nothing much new therein, when compared to Sinha- Athale report mentioned above, except for the fact that it gives a far more detailed account of the course of events. 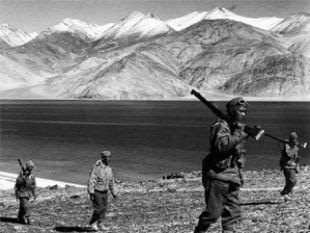 Maxwell's says that the Henderson Brooks report indicts the highest levels of the government — from the then Prime Minister Jawaharlal Nehru's own office and the Defence Ministry — particularly for its Forward Policy, despite considerable concerns and objections from on-the-ground military commands that lacked resources and underlines the deep disconnect between Delhi and Army commands on assessing how China would react to the Forward Policy. But all these facts are in public domain for long and I do not find anything new here also. Frankly speaking, there is nothing in these pages that could be called as path breaking in this. All this information is well documented in books written by many retired Indian Army Generals and also in the Sinha- Athale report that I have mentioned above. According to me, Maxwell's so called revelations can not even be described as old wine in new bottle. It is at the most, old wine in an old bottle only and should be just left, where it belongs; history shelf. For those readers, who want to see Neville Maxwell's web pages in original. Here are the links. Though, I was not able to open any one of them for unknown reasons. Either there was too much traffic or someone has blocked the web site for viewers located in India. Those viewers, who are located outside India, might be able open the web site; but I do not know.